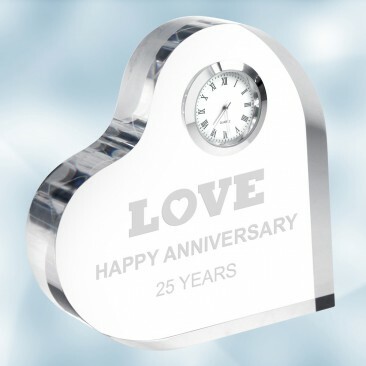 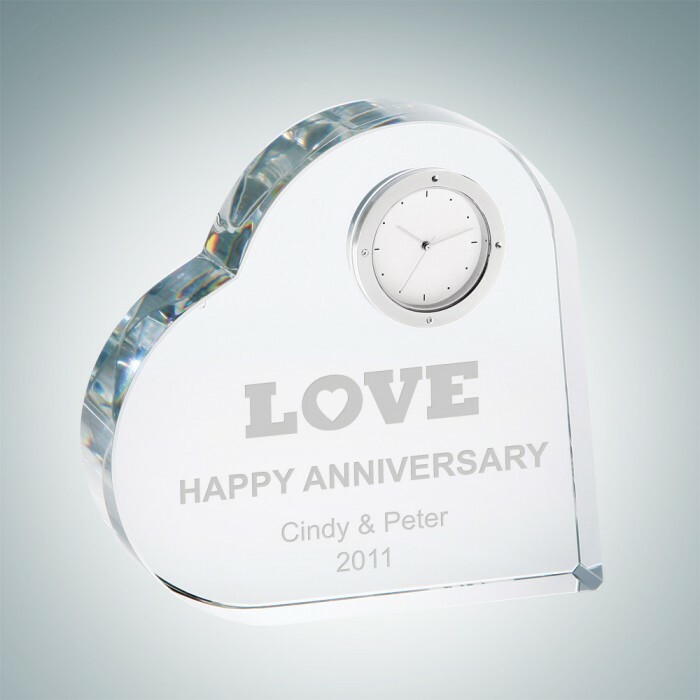 Let someone know that your appreciation for them is timeless and you cherish every minute of it with our Crystal Heart Keepsake Clock. 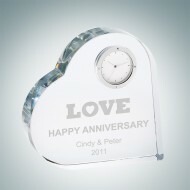 Perfect gift for Mother's Day, Birthdays, Weddings, Valentine's Day, Christmas and any special occasion. 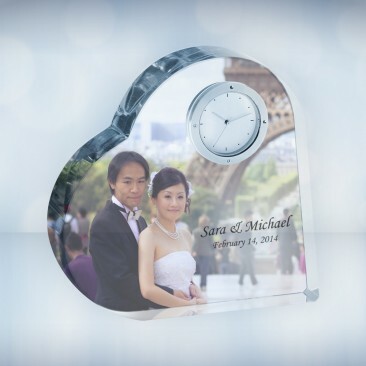 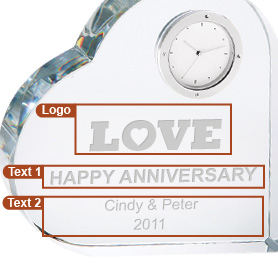 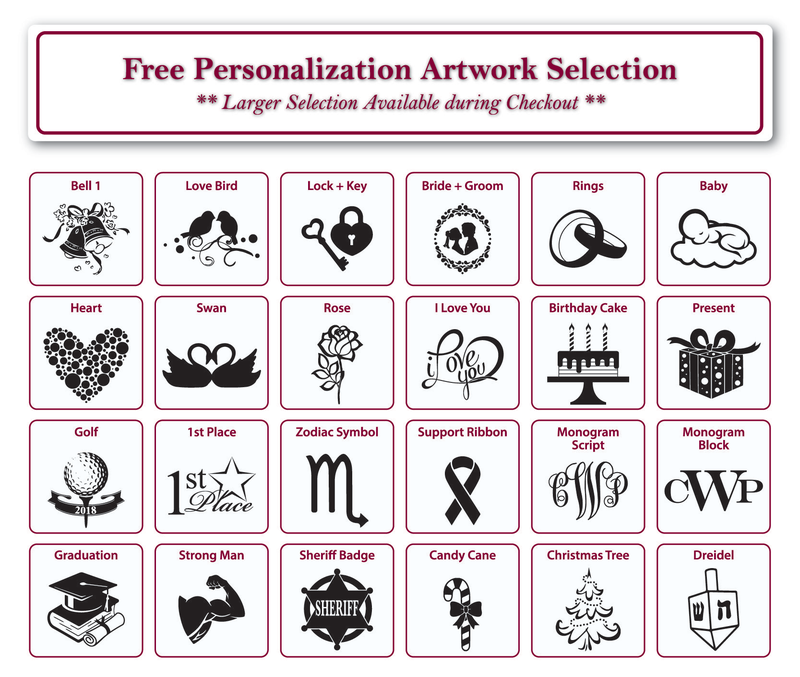 Engrave a sweet message, a memorable date, or a simple "I Love You" using our free personalization service! 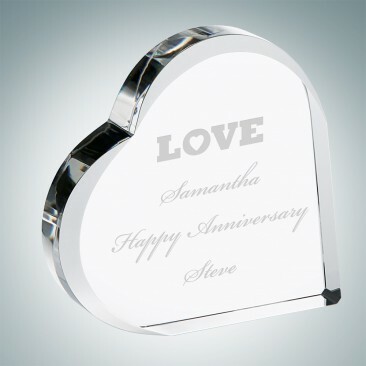 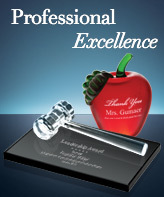 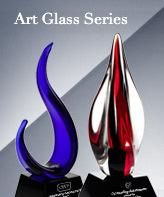 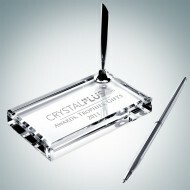 It can also be a perfect award plaque for appreciation or retirement occasions. 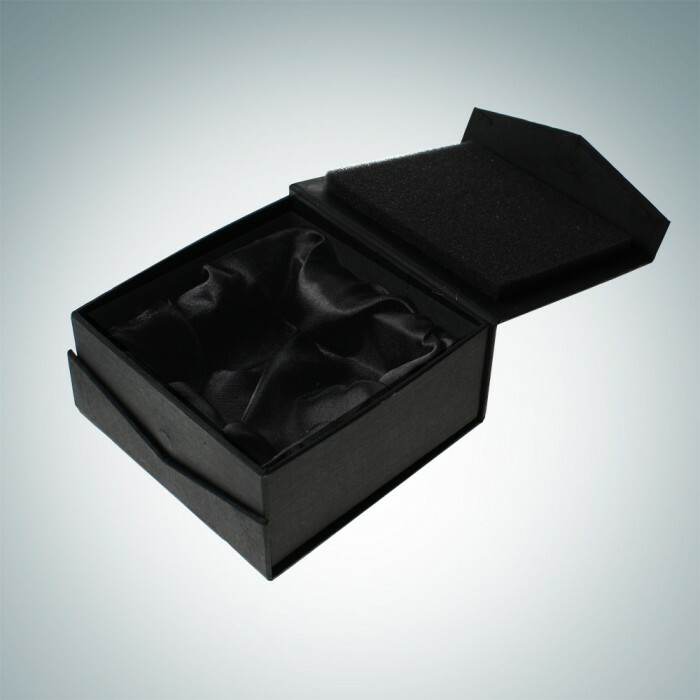 • Japan Movement 37 mm (1.46 in); Battery included, qualified technician required to replace.